A lifelong resident of Blair County, Judy Ward became the first female state representative in the county’s history when she was elected to office in 2014. She is a Registered Nurse, as well as a former small business owner, development professional and wellness coordinator. 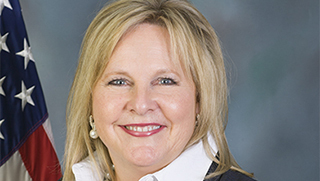 Her primary goals as a state representative are to seek public pension reform, improve Pennsylvania’s business climate and advance economic opportunities. She serves on the Health, Human Services, Labor and Industry, and State Government committees.